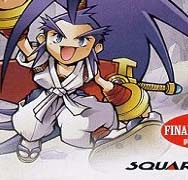 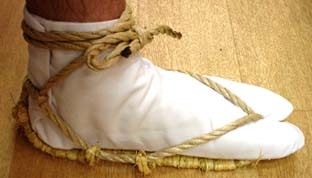 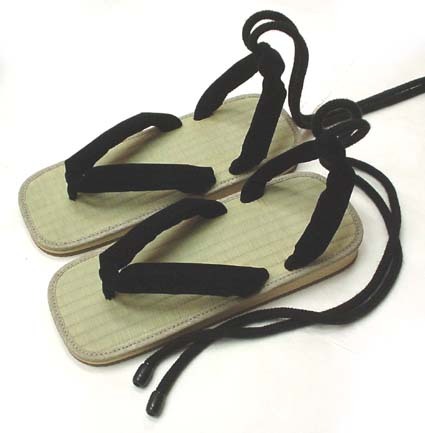 3/15/2002　Musashi's zori are completed. 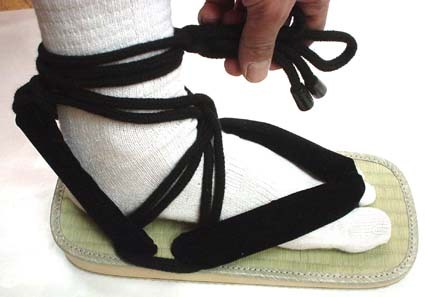 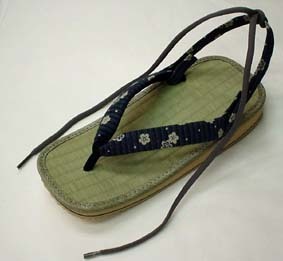 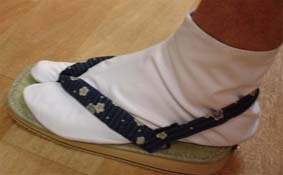 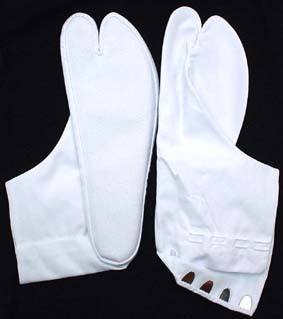 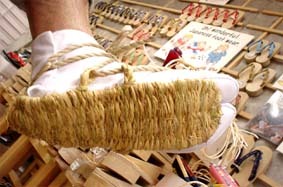 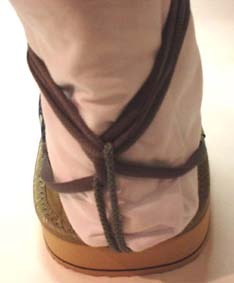 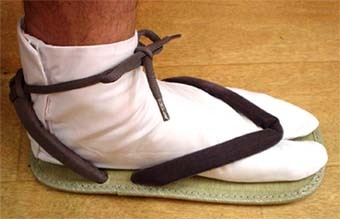 1/13/2002　I made Musashi's zori for a student in NC. 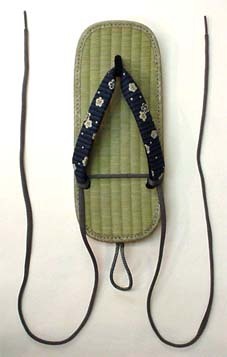 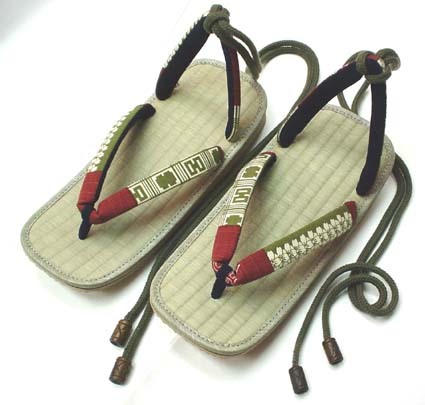 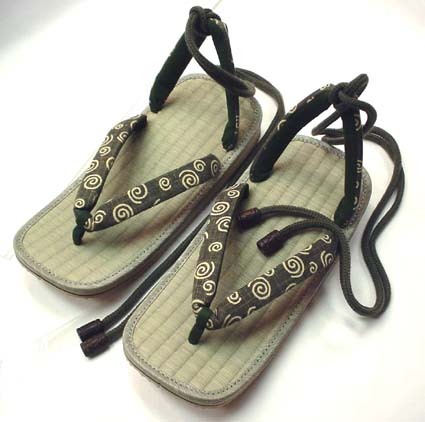 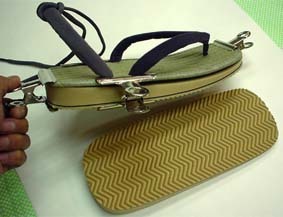 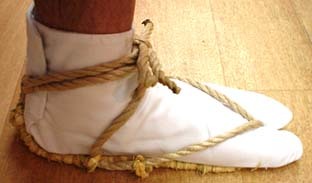 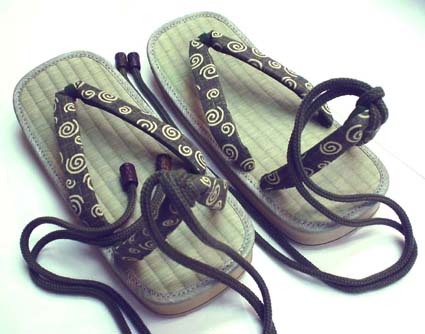 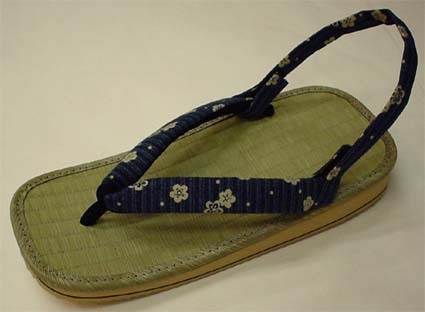 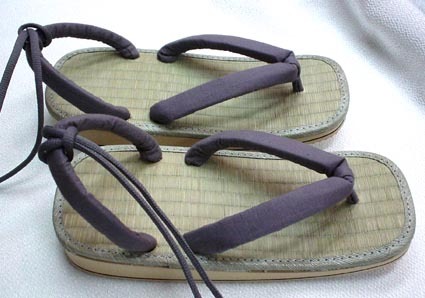 8/8/2001　This is my first zori which I made. 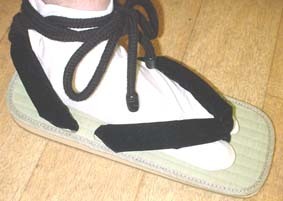 Velcro is easy to put on and take off quickly. 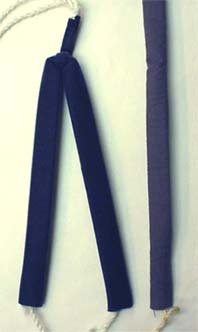 you can regurate the length. 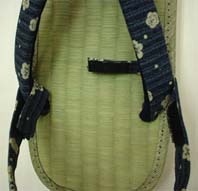 Still more, I attched tie to the back band. 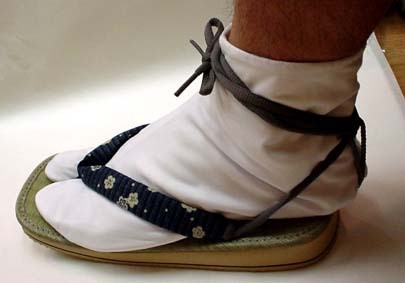 This is true waraji. 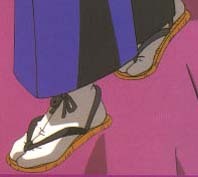 6/7, I get it. 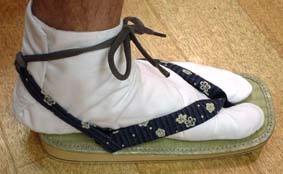 the right-waraji-balance is good in walking. 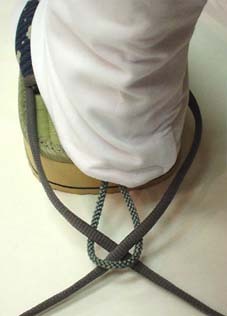 There are some way to tie.